DNA molecule, computer artwork. 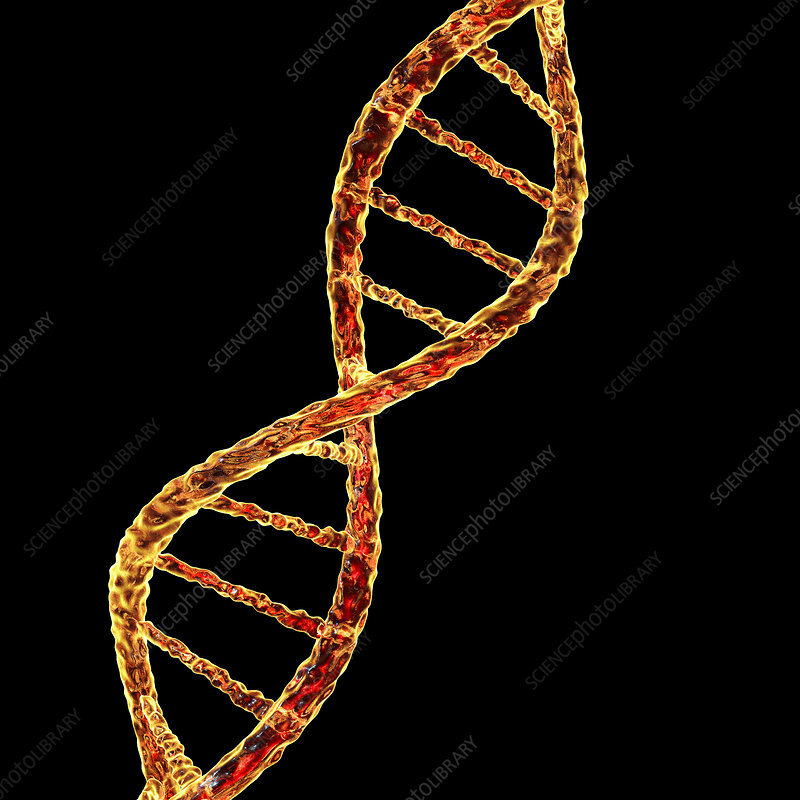 The molecule of DNA (deoxyribonucleic acid) consists of a long double helix of phosphates and sugars, connected by pairs of nucleotide bases (balls and rods). These nucleotide base pairs form the rungs of the spiral ladder seen here. The sequence of these base pairs form the genetic code that is the basis of all life on Earth. An individual's genetic sequence controls their growth and development, and it is passed on to their children. Variations in the genetic sequence during millions of years of evolution have produced the diversity of life on Earth.